Problem: The increased demand for emergency care in the United States (U.S.) has been well-documented and there is growing utilization of nurse practitioners in U.S. emergency departments. However, little is known about the nurse practitioner (NP) role in the emergency department setting within the past five years. Purpose: The purpose of this project was to describe the demographic characteristics of patients, patient conditions treated, diagnostic tests ordered, and procedures performed by nurse practitioners in a national sample of U.S. emergency departments. Methodology: This secondary analysis used a non-experimental quantitative, descriptive exploratory design to review data from the National Hospital Ambulatory Medical Care Survey (NHAMCS), a national sample of visits to U.S. emergency departments. Results: From July 1 through December 31, 2010, there were 462 unique patient encounters in NHAMCS with the nurse practitioner as the sole provider of care. Most (91.8%) visits occurred in metropolitan/urban regions and in not-for-profit hospitals (78.1%). More than half of the patients were female (54.5%), 76.4% of participants were aged 44 years or younger, and approximately two-thirds (68.2%) identified as Caucasian. 65.5% of patient visits were for Emergency Severity Index (ESI) Level 4 (semi-urgent) and Level 5 (non-urgent) visits. The most frequent illnesses were ENT-related, while the most common injuries were related to falls. Diagnostic (laboratory, ECG) and imaging testing was ordered in 56.1% and 37.2% of respective patient encounters. Procedures were performed in 36.6% of visits. Medications were prescribed for a large majority of emergency visits (82.9%). NSAIDS (16.9%), narcotic analgesics (7.1%), and non-narcotic analgesics (5.6%) were the most commonly prescribed drug classes. Implications: This project reveals that most nurse practitioners working in emergency settings care for a variety of ESI Level 4 and Level 5 acuity patients in metropolitan and urban regions. As the utilization of nurse practitioners in emergency settings increases, the need for well-educated, academically prepared nurse practitioners in emergency care will become greater. 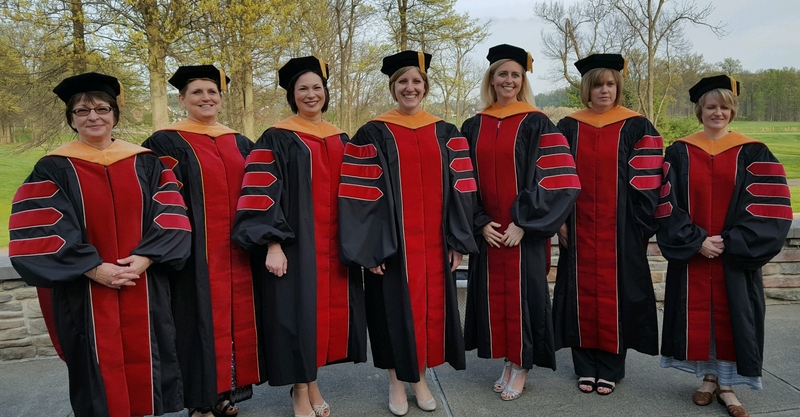 Aligning graduate-level academic preparation, increasing continuing education offerings in emergency care, targeting advanced practice competencies, and supporting secondary certification in the specialty in accordance with the APRN Consensus Model, are essential. Future interdisciplinary research targeting the NP role in the ED is warranted. Bevan, Jeffrey L., "The Contemporary Use of Nurse Practitioners in U.S. Emergency Departments" (2015). Doctor of Nursing Practice Scholarly Projects. 6.